Today, Amazon.in posted a listing on its website hinting that HUAWEI P30 will be launching in India soon. 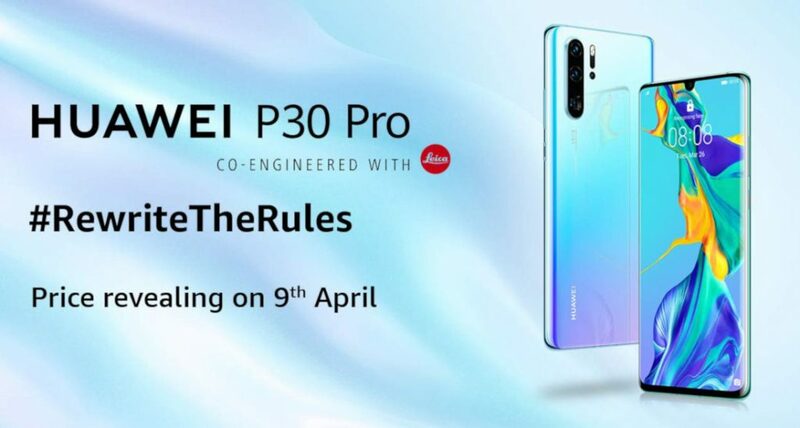 The landing page lists the features of HUAWEI P30 Pro, about its new camera and other specifications. According to a listing, it looks like the 8GB RAM + 128GB storage variant is expected in India. HUAWEI P30 sports a Nano-Memory Card slot unlike the regular MicroSD card seen on its other smartphone lineup. To recall, P30 is powered by Kirin 980 SoC which is a 7nm chipset and comes with a new Rear Triple Camera set up. It is a combination of 40MP wide angle lens with an aperture of f/1.8 + 16MP ultra wide angle lens with an aperture of f/2.2 + 8MP Telephoto lens with an aperture of f/2.4. 4200mAh (typical) battery with HUAWEI supercharges fast charging.